Magna Light No Longer in Dark for Hopeful Stakes: Christmas time for handicappers ends on Monday at Saratoga Race Course, when the summer meet concludes with a fun card highlighted by the Hopeful Stakes (GI) and Magna Light. Bettors let Magna Light go off at double-digit odds in the Sanford (GIII), in spite of a powerful-looking maiden victory in his prior start. He responded by leading from start to finish, only to be disqualified for running erratically. This time, Magna Light will start as one of the favorites with his improved speed figure in tow. Trained by Rudy Rodriguez, the Hopeful offers him another chance to prove his superiority over Sanford winner Uncle Vinny, and maybe shed some “light” on which two-year-old horse is currently the best. He certainly ran better than Uncle Vinny, in spite of the disqualification. Magna Light accomplished the dirty work setting the pace, over a tiring dirt surface that repelled speed earlier in the meet. In the stretch, Magna Light just responded to the whip use from Jose Ortiz a bit strangely and ducked out to the right. At least, he never interfered with the momentum of any horse. The stewards thought differently and decided to place Uncle Vinny on top. Magna Light cost $110k at auction, which is expensive considering the low-key Magna Graduate as his sire. To cost so much without a dazzling pedigree, he must have blown observers away in his appearance and workouts leading up to the sale. Owners do not spend money on horses with sires that are not “in-fashion” without being confident about their purchase. From the rail, expect a great performance by Magna Light in the Hopeful. As for Uncle Vinny, he ran well in two out of three starts including the Sanford. 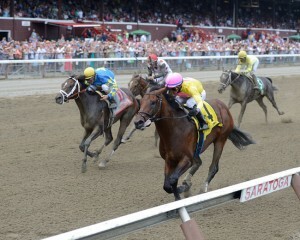 The one poor effort at Belmont Park is excusable because of the poor break. Trainer Todd Pletcher will affect the value though, and Magna Light simply appeared more dominant in their last meeting. Owned by Starlight Racing and sired by the precocious two-year-old star Uncle Mo, Uncle Vinny certainly can improve and win. True value seekers might search elsewhere. One of the great angles in horse racing is the second start angle, because horses generally need their first career start to get a better feeling for their new job. In this race, there are three second-time starters, and they each hold a reasonable chance to jump to the next level. 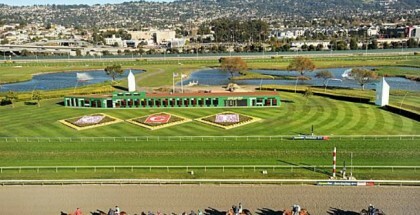 For example, Sallisaw ran well in breaking his maiden on this racetrack for trainer Kiaran McLaughlin a few weeks ago. The winning margin turned out to be nothing special, nor was the speed figure. Because these are juveniles, the speed figure takes less importance and he might improve enough to win. Also, Set the Trappe actually lost his career debut and now the connections throw him into a Grade I. 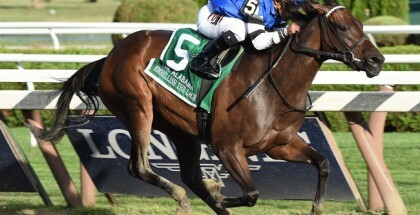 But, Grade I races for two-year-old horses are only graded stakes races in name only. 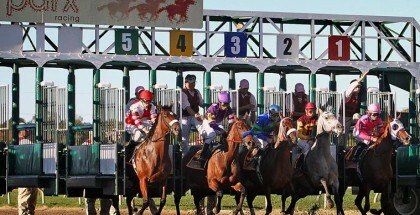 These races are mostly filled with recent maiden winners, and Set the Trappe finished second in his initial try. Trained by Anthony Dutrow, this expensive $300k son of Trappe Shot should not be discounted. Fellow maiden Tom’s Ready makes his stakes debut too. 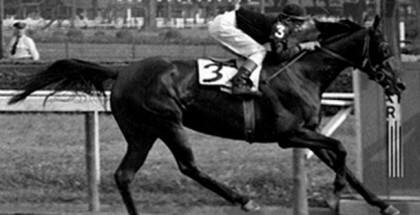 He finished fourth in the race Sallisaw broke his maiden in. Like with most horses trained by Dallas Stewart, Tom’s Ready came from the clouds in his only race and will probably use the same tactics for this one. Stewart tends to surprise the public when they least expect it, so perhaps Tom’s Ready factors late for a piece. At this point, none of them match the physically imposing Magna Light. Nevertheless, as explained things change quickly. Speed figures with two-year-old runners are the most overrated tool because of the mystery behind when young horses understand how to win. Figuring out how to predict progression will benefit handicappers more than only analyzing numbers. If pressed to decide between Magna Light and Uncle Vinny, then give the edge to Magna Light for now.